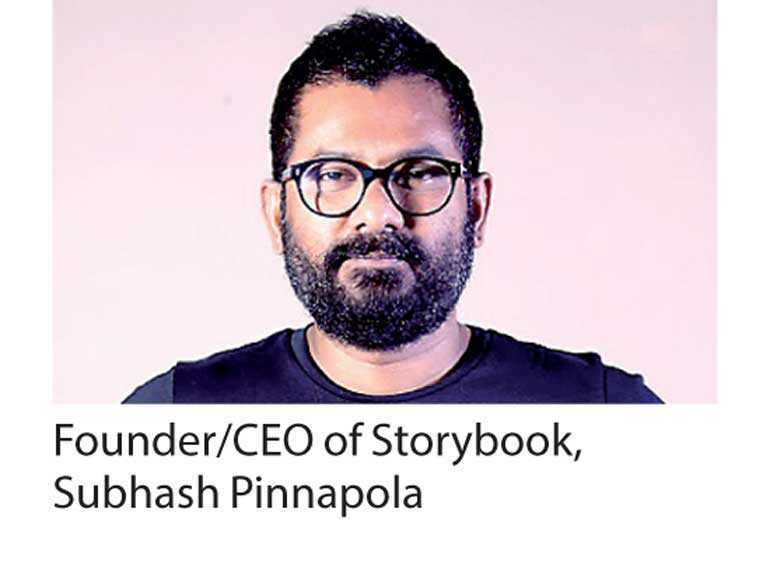 Industry veteran and Founder/CEO of Storybook, SubhashPinnapola earned distinguished positions on the judging panels of two of the most recognised global awards programs in the advertising, creative and marketing world. The two awards programs, W3 Awards and Cresta International Advertising Awards, see Subhash and other renowned global leaders in advertising come together to decide on the best and most deserving talent, each year. Story Book is a first-of-its-kind independent creative agency based in Colombo, Sri Lanka and has a distinct approach relying on emotional engagement. The agency focuses on marketing to the empowered and highly intelligent consumer of today and specialises in creating powerful stories that connect people with brands, writing new chapters in Sri Lanka’s advertising industry. Despite being a relatively new agency, Storybook is headed by the legendary SubhashPinnapola who has long been a stalwart of Sri Lanka’s advertising industry and is one of Sri Lanka’s most awarded creative leaders. Subhash has held the prestigious positions of Executive Creative Director at Leo Burnett and Chief Creative Officer at TBWA and has played pivotal roles in other advertising giants such as O&M, JWT and LOWE. Over the years, he has been consistently awarded and recognised at top international ad award programmes such as Cannes, Spikes, Adfest, Appies, Adstars, AME, Epica, Midas, AWARD, Cristal, Sharks, Davey, Cresta and ONE SHOW. The W3 awards honours creative excellence on the web and recognises the creative and marketing professionals behind award winning sites, videos and marketing programs. It is the first major web competition to be accessible to big agencies and small firms alike where, regardless of size, the best work wins. The W3 awards is sanctioned and judged by the Academy of Interactive and Visual Arts, which is a global, by-invitation-only body consisting of top-tier professionals from media, interactive, advertising and marketing firms of which Subash is a distinguished member. The Cresta International Advertising Awards is a worldwide awards program that seeks to acknowledge high standards of creative achievement in the advertising and marketing communications industry, globally.The best entries are finally judged by the Cresta Jury, a permanent body consisting of 85 members from 45 countries of which Subhash is a member. For the competition members judge the entries focusing solely on creativity. For the Cresta awards, Subhash will judge entries in the categories of Direct Marketing, Branded Entertainment, TV, Cinema and Online Marketing.